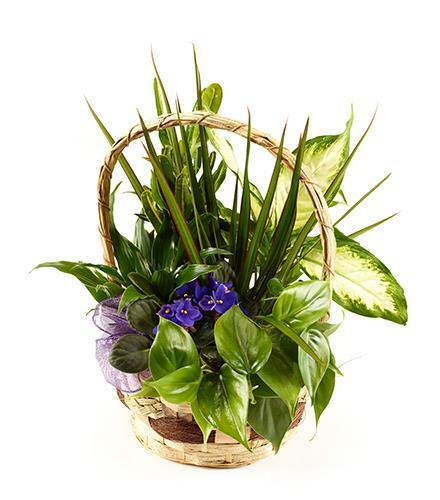 Easy to care for indoor plants in wicker basket. Decorated for an occasion or season. Wide price range available.